How do I set a Custom Transaction ID? A new optional field has been added to RPX in version 5.3.0 and above, known as Custom Transaction ID. This field allows clients to pass even more information when processing a transaction, which could be useful for creating invoices, customizing merchant IDs, etc. 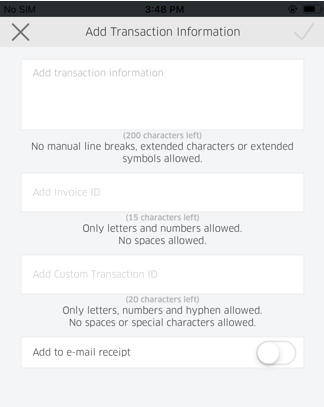 Please note, this feature already exists in the ROAMmerchant virtual terminal. 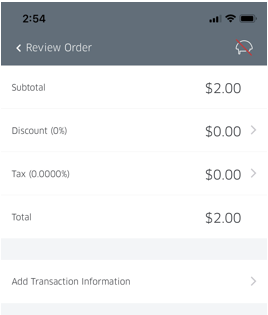 On the Review Order screen, click on the Add Transaction Information button.